Paving services in the North East carried out by our team of pavers. There is still time to transform your outdoor area before the winter weather hits. At N & P we can provide all your paving services, brickwork, turfing and fencing services all under one roof for your project. 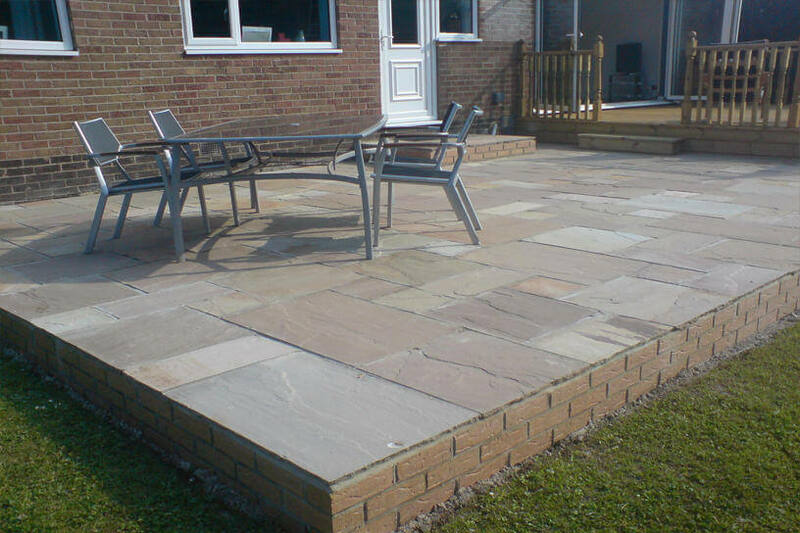 From new driveways, patios and feature areas to garden walls and extensions. We can handle your whole project from start to finish. A new beautiful driveway or patio area can make a big difference to the overall look of your property. Our paving services include the design and layout of your paved area. 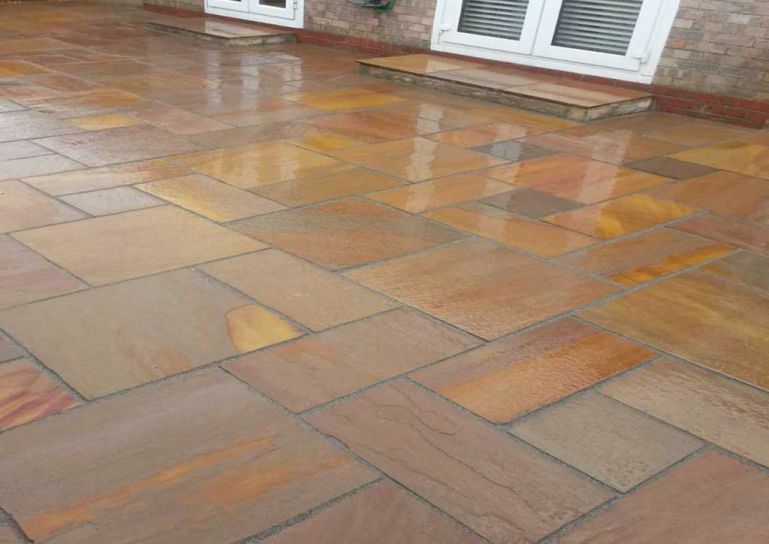 We offer a wide range of paving styles and colours all from leading manufacturers. Our team can help advise you on the right type of your property as well as styles and colours. Our team of pavers install both domestic and commercial paving including Driveways, Garage Forecourts, Patios, Steps and Pathways. Many of the products we install have custom designed features such as circles, edging, inset manhole covers, steps to give those extra finishing touches to the project. If you are wanting a new driveway installed, however, you are not keen on general paving. Another option may be our patterned concrete for driveways. In Newcastle and Gateshead especially we have laid quite a few of the patterned concrete driveways. However, not every driveway is suitable, our pavers can advise you of this at our site visit. With a huge range of different manufacturers and suppliers, you will be spoilt for choice. Manufacturers products include Marshalls, Thomas Armstrong, Lakeland Paviors and Derwent Stone. Finally, you can find out more about our paving services on our dedicated page on this site.